Can I get Pregnant with Ovary Cyst? 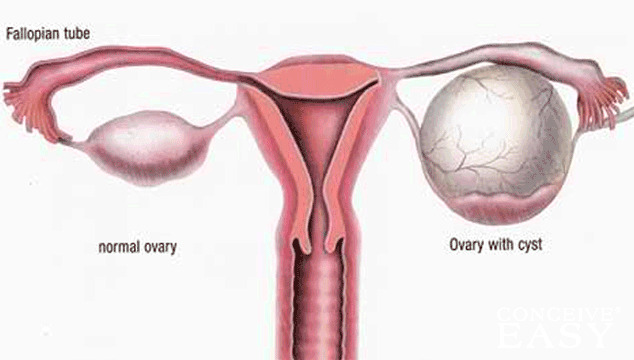 For example, sometimes the cyst will actually affect the ovary’s ability to produce an egg. This could mean that the egg is not healthy when it is released. It could also prevent the egg from being released at all. Luckily, there are several treatment options for women who are struggling to conceive because of an ovarian cyst. Sometimes medication is required and other times surgery is necessary. If doctors suggest removing an ovary, there is still a chance that you will be able to become pregnant from eggs released by your other ovary. If you find that a treatment plan is not available, there is still an option that you can choose. In-vitro fertilization is a fairly successful procedure that women can have when they are unable to become pregnant naturally. They will use donor sperm, which will be fertilized in the lab, in order to become pregnant. After the egg is fertilized, it is placed directly into the uterus, which cuts out the need for the woman to produce her own eggs.